This cordial is sensational and I have bought several bottles of it (we always have one in the kitchen cupboard now). I think I am truly addicted. It is AMAZING in a G&T but just as delicious with soda. I first tried this cordial in a restaurant in Liverpool and it was so delicious i had to find out who made it and buy some for myself. I drink it with soda water, ice a wedge of lime and a sprig of mint. Everyone i have made this drink for loves it. There is nothing like it, its flavour is unique. Delicious and refreshing on a summers day. I have dry mouth syndrome and drink loads. A drop of this cordial in cold water is sublime. It's sweet, without being too sweet and a little mild kick of sourness to make the juices flow. After the Sour Cherry etc one and the Elderflower and English Apple..oh and the Strawberry and kiwi it is up there with my favourites. My nephew uses this to make a scrumptious milkshake. 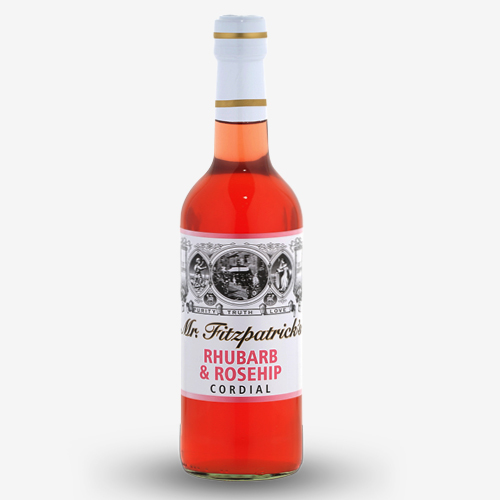 There us a milkshake bar in Sheffield market that uses Mr Firzpatrick's cordials and is where I found out about these wonderful cordials. If you are in Sheffield head down there as the owner lets you have a small taster of them before you buy. I an now hooked on these.